A friend of mine made the journey at lunchtime too and discovered they were shut. 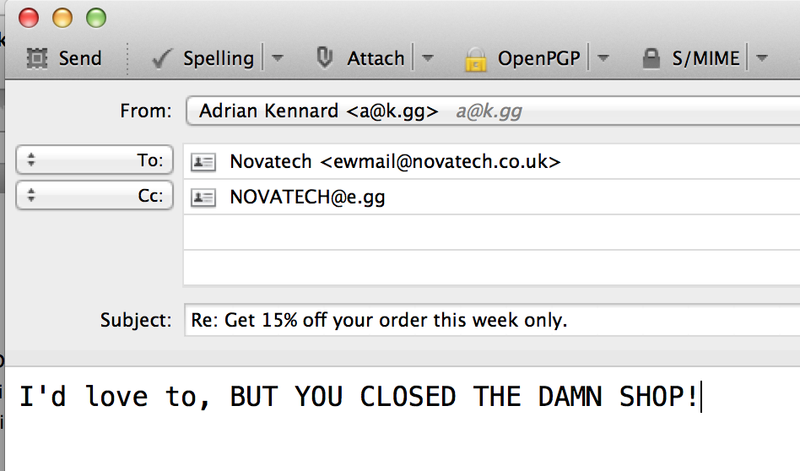 If you go to their website, then Stores, you'll see they've decided to close all their stores, apart from Portsmouth. Their communication of it is rubbish though, it's rather buried away. And there should at the very least be some sort of explanation in the shop window. But no, nothing. 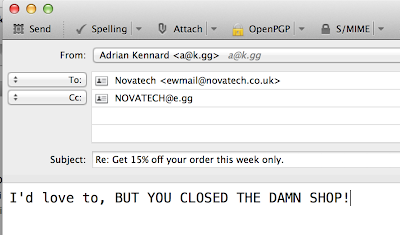 I'm glad I read RevK's blog before popping to Novatech to buy an SSD. Frankly I'm not surprised as the store was often empty and I didn't spend enough to keep them open but it has been handy to pop in there to actually examine things like monitors and cases.